Bruce Gill is a specialist in the areas of Executive Leadership, Organizational Development and Training. 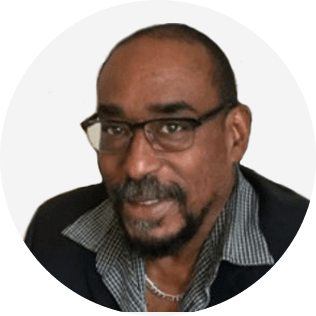 As a Partner with Inter-Change Consultants, Bruce has worked with a broad range of organizations as a diversity consultant. His client work includes American Express, National Institutes of Health, Ernst & Young, and Lucent Technologies. He has brought his work pertaining to Asian/Pacific Islanders, cross-cultural communication, and senior leadership coaching to East Timor. Bruce leads the five-day leadership intensive for ethnic minority men and women in the NCAA who aspire to the highest levels of athletic administration. He also assisted in developing, implementing and evaluating NCAA Division III’s groundbreaking Women and Minority Internship Program Initiative including a joint weekend orientation for the interns and their supervisors and mentors. He served as an internal consultant to Kraft General Foods, and also held the position of Manager of Human Resources. He designed their Executive Leadership program; and also led the development of a new leadership and management curriculum as an integral element in a cultural change initiative. As a minority member of the Organizational Development unit, he faced and overcame various challenges to his effectiveness working at very senior levels of the organization. During the crucial period of transition due to the merger of Kraft and General Foods, Bruce utilized his skills in team building and managing change and transition to promote proactive response to issues arising from the merger. Bruce holds a BA from Middlebury College and an MPPM degree from Yale University. Cross-cultural skills are crucial in today’s rapidly expanding global demand for coaching. Coaches serving leaders and individuals in this growing multi-cultural environment will add an important dimension to their tool kit. This introduction is lead by Coach Initiative Board member Phyllis Haynes with two other skilled facilitators Bruce Gill, and Elizabeth Miu-lan Young. They each have more than 25 years of experience in international and domestic Diversity and Inclusion work. They have coached senior executives and organizational leaders in the corporate sector, academic institutions, and non profits. They look forward to hearing questions. 1. Participants will discover the importance of subtle cultural differences. 2. Identify key cross cultural issues that require continuous learning and exploration.